This is a set of 10 (!) 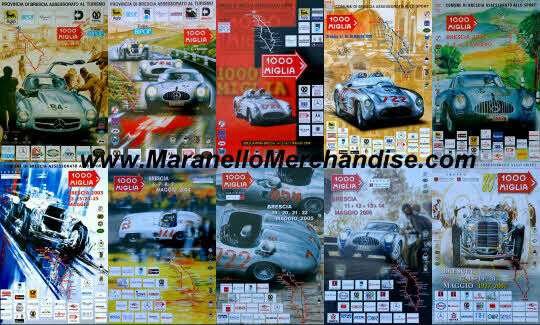 original event poster for the Mille Miglia. Each poster features fantastic artwork that is not done justice by the pictures here. 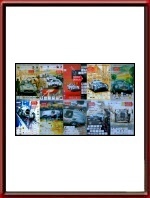 Each poster is the official issue, measuring some 34 x 49,5 cm or 13.4 x 19.5 inches. These posters will be shipped, rolled, in a sturdy tube to reduce the risk of damage during transit to a minimum. FREE shipping to ANY destination in the world and because shipping 10 posters at the same time is a LOT cheaper for us, we can offer you a significant discount compared to the individual prices of the posters as normally the complete set would cost you almost US$ 500!